Today Kate's wonderful pediatrician determined "Kate's recurrent episodes of coughing and wheezing represent asthma." 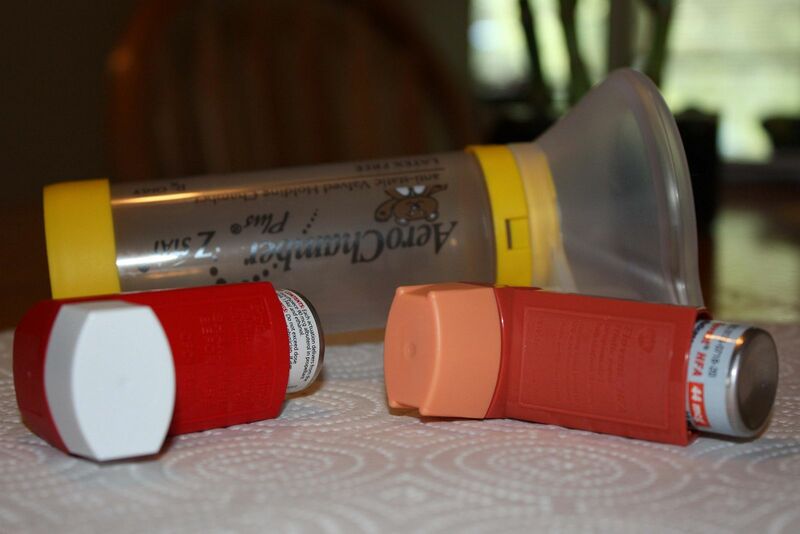 Kate now has two inhalers... one for daily use and one for when she needs "quick relief." I am glad for answers and a solution to all of Kate's little issues but I am left with lots of questions. Will this be life long? Will she out grow it? Will I truly know when she needs a "quick relief"? Will I give her "relief" more than when she really needs it? Will I/should I always carry her "relief" inhaler with me at all times? Will she ever take her medicine like this sweet little toddler does?